Bangalore based multi-brand luxury car subscription services company _ Car2Drive powered by Driven _ announces the launch of its operations in Hyderabad today. On this occasion, it has handed over his new Mercedes Benz keys to Indian cricketer Yusuf Pathan and BMW keys to Basil Thampi. Powered by Driven, Car2Drive is a start-up offering car subscriptions as an alternative to the traditional purchase option, which involves taking significant loans. The company has delivered more than Rs 10 cr worth of vehicles till now. 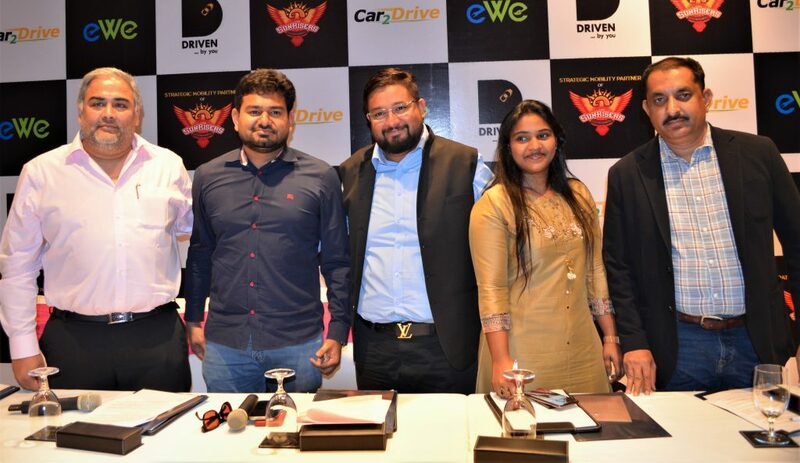 Car2Drive powered by Driven today also announced its official tie-up with SunRisers Hyderabad, the IPL franchise team from the city. As its business model, Car2Drive powered by Driven will be responsible for all the damages, repairs, insurance, etc., while the customer can take their favorite car with no hassles of down payment or registration charges, etc. “Our operations in Bangalore are a huge success considering the positive response we got from our existing and potential customers. With this success, we are now confident of expanding our operations to Hyderabad and other metros in the country. Car2Drive powered by Driven will be looking to raise USD 100 million from investors to spread our wings pan-India,” added Mr. Kedar, partner Driven. Car2drive powered by Driven aims to cater to two sets of customers – one the premium, global citizens, high net worth jet setters who can lease and own top-end models of high-value cars; two the aspirational class, who can use them on a subscription basis.